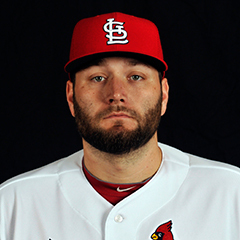 As expected, free agent starting pitcher Lance Lynn has declined his qualifying offer for the 2018 season made by the St. Louis Cardinals last week. Lynn was one of nine players to receive the qualifying offer across MLB, and all nine rejected them. Lynn’s decline means the Cardinals will receive a compensation pick in next year’s draft if Lynn signs with another team. That pick will come after Competitive Balance Round B, following the second round, which currently ends with pick number 75. Where the Cardinals will pick will be slotted will depend on the value of any contract Lynn signs with another team. Last season, the 30-year old right-hander made 33 starts and had a record of 11-8 and an ERA of 3.43. Lynn pitched in 2017 a year after getting Tommy John surgery. The Cardinals will receive a Competitive Balance pick in the 2018 draft due to being in the bottom 10 of MLB teams in either revenue or market size. Last season, the Cardinals’ pick was in Competitive Balance Round B, but was forfeited to Houston. In 2018, their pick moves up to Round A, following the first regular round, and is currently slotted at number 39 overall. 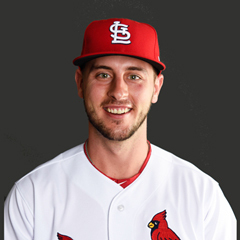 In addition to the Cardinals, the Pirates, Rays, Orioles, Padres, Diamondbacks, Royals, Indians and Rockies, in that order, complete Round A.
Cardinals rookie shortstop Paul DeJong finished second to Dodgers slugger Cody Bellinger in the 2017 National League Rookie of the Year balloting. Bellinger was a unanimous pick. From the 30 voters, two from each NL city, DeJong received 15 second place votes, and 11 third place votes. The Pirates’ Josh Bell finished third with 10 second place votes and two third place votes. DeJong made his MLB debut on May 28, and took over the shortstop job after Aledmys Diaz was optioned to Triple-A Memphis. 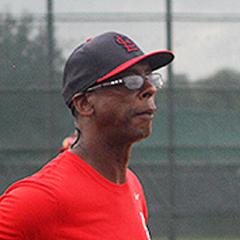 DeJong hit 25 home runs with St. Louis, and cemented the shortstop position for the remainder of the season. His 25 home runs made him the first rookie to lead the Cardinals in home runs since Albert Pujols in 2001. DeJong ranked second among all NL rookies in 2017 in home runs and extra base hits, behind Bellinger. No Cardinals were among the finalists for the 2017 Cy Young Award, Manager of the Year and Most Valuable Player. Cardinals’ President of Baseball Operations John Mozeliak visited outfielder Dexter Fowler in Las Vegas recently to discuss a number of issues, one of which was a possible move out of center field for the 2018 season. In an effort to improve defense, the Cardinals will consider moving Fowler to a corner position, and put Tommy Pham in center field. Though hampered somewhat by injuries in 2017, Fowler’s defense in center field in terms of his defensive metrics fell considerably from 2016. From a Defensive Runs Saved of +1 in 2016, Fowler’s numbers in DRS fell to -18 in 2017. Fowler has never played a corner outfield position in his major league career. The Modern Era ballot for the National Baseball Hall of Fame includes ten names – Steve Garvey, Tommy John, Don Mattingly, Marvin Miller, Jack Morris, Dale Murphy, Dave Parker, Luis Tiant, Alan Trammell and former Cardinals catcher Ted Simmons. The vote of the 16-member Modern Baseball Era Committee will occur on December 10 with 75 percent of the ballots cast needed. Winners will be inducted into the Hall in Cooperstown on July 29, 2018. The regular Hall 2018 ballot will be announced on Monday, November 20. Along with those 2017 candidates who finished with between five percent and 75 percent of the vote, first-time eligibles for the ballot include former Cardinals Chris Carpenter, Jason Isringhausen and Scott Rolen. Jon Morosi of mlb.com reports that the Cardinals are interested in relief pitcher Brandon Kintzler. In a tweet on Wednesday, Morosi reported that the Cardinals have discussed reliever Alex Colome in trade talks with the Rays. Morosi also tweeted on Sunday that the Cardinals have made a formal trade offer to the Marlins for Giancarlo Stanton. Derrick Goold of the Post-Dispatch reported that while the Cardinals have no interest in free agent J.D. Martinez, there have been internal discussions concerning free agent outfielder Carlos Gonzalez. Rob Rains reported that free agent first baseman Logan Morrison is considering offers from the Cardinals and the Angels. In a related item, the Post-Dispatch reported that 2017 first baseman Matt Carpenter has been told to prepare to play multiple defensive positions in 2018. November 20 at 7:00 p.m. CT is the deadline for teams to finalize their 40-man rosters for the upcoming Rule 5 draft in December. The Cardinals have made subtractions from the roster by releasing Trevor Rosenthal and outrighting Alex Mejia and Alberto Rosario. Further subtractions could occur on November 20. The 40-man roster now stands at 35 players. Key additions may include outfielders Tyler O’Neill and Oscar Mercado and pitcher Austin Gomber. The deadline for teams to tender contracts to pre-arbitration and arbitration eligible players is December 1. The Cardinals have three arbitration eligible players – Michael Wacha, Tyler Lyons, and Randal Grichuk. Grichuk has been rumored to be a trade candidate. The Winter Meetings are scheduled for December 10-14 in Orlando, FL. The Rule 5 Draft will occur on the 14th. In last week’s history segment, I discussed the 1978 St. Louis Cardinals team. This week I jump two decades ahead to remember the Cardinals of 1990. The 1990 Cardinals finished the season with a record of 70-92 and finished sixth in the National League East (last place). The 1990 season was the end of Whitey Herzog’s tenure as the Cardinals manager. Herzog resigned at mid-season and was replaced first by Red Schoendienst in an interim capacity, and then by Joe Torre, who served as the Cardinals manager until he was fired in June of 1995. St. Louis’ GM in 1990 was Dal Maxvill. Opening Day starters were Tom Brunansky (RF), Vince Coleman (LF), Pedro Guerrero (1B), Joe Magrane (SP), Willie McGee (CF), Jose Oquendo (2B), Terry Pendleton (3B), Ozzie Smith (SS), and Todd Zeile (C). The club’s longest losing streak was seven games, from Sept. 27 to Oct. 3. The longest winning streak was four games, twice, from July 19-22 and Aug. 9-12. The largest winning margin was an 11-0 defeat of the Phillies on April 13. The worst defeat was an 18-2 loss to the Expos on June 8. Home/road splits were 34-47 at home and 36-45 on the road. The top starting pitcher was John Tudor, with a record of 12-4 and an ERA of 2.40. On the position player side, Guerrero had a slash line of .281/.334/.426, hit 13 home runs and drove in 80. Smith was awarded his 11th Gold Glove at shortstop in 1990. McGee won the NL batting title with a batting average of .335. However, McGee did not play the entire 1990 season with St. Louis, as he was traded on August 29 to the Oakland Athletics.